Tuesday was one of the greatest days in U.S. Olympic history. After early struggles in the pool, Michael Phelps and his American teammates captured gold in the 200-meter freestyle relay. It was Phelps’s second medal of the day and his 19th overall, making him the most decorated Olympian ever. Across the Olympic Park, the U.S. women’s gymnastics team took home gold for the first time since Kerri Strugg and the 1996 Atlanta squad. This 2012 team is better, say those who know something about gymnastics. Gold in premiere sports, drawing even with the Chinese atop the overall medal count – it was a banner day for the Stars and Stripes. But as I write this Tuesday evening, Americans are the only people in the first world who haven’t seen any of it happen. Don’t worry, though, it’s 7 o’clock. NBC is pushing play on the VCR right about now. The tape delay has been part of Olympic coverage as long as I’ve been alive. And for most of that timespan, it has been a sensible proposition. When the Games take place time zones away, major events occur while people are at work (like Athens or London) or asleep (like Sydney or Beijing). To ensure the biggest moments air while the most eyeballs are attuned, NBC airs recordings during nightly primetime blocks. Hey, that $1.18 billion coughed up for the broadcasting rights isn’t going to replenish itself. But now, there are more channels for disseminating messages than ever before. Today, it is virtually impossible to avoid hearing the news from the rest of the world. You can’t look at the television, or you’ll see who won on the ESPN or CNN news tickers. You can’t even put it on as background noise, lest you hear NBC’s Brian Williams tiptoeing viewers through “spoiler alert” Olympic results (Spoiler Alert: He’s spoiling his own network’s coverage!). You can’t turn on the radio. I made that mistake yesterday. Before I realized the top-of-the-hour news minute had begun, the lead, “More disappointment for Ryan Lochte” had already penetrated my eardrum. At least I could schedule a snack break during swimming now. You certainly can’t go on the Internet. News sites? Forget it. Sports sites? Obviously not. Social media? They’ll ruin it for you faster than anybody. To watch the Olympics with any element of suspense, one must undertake a two-week-long media fast. Unplug the Ethernet, the cable, and the antennae. Should probably throw your phone in a lake while you’re at it. Of course, this is only if you live in America, and only because of NBC. In host-country Britain, the BBC broadcasts live over the air and online, streaming everything in HD. Then again, they don’t have those time zone complications impacting their advertising revenues. But our Canadian friends do. And yet, CTV too offers live pictures on the television and the computer screen. NBC boasted of its new online platform, allowing viewers to watch every second of every event live. Except there proved to be a great number of caveats. Like how a cable or satellite subscription was required to view anything other than highlight packages, even for content scheduled to air on NBC, a free “over-the-air” network. Or how it was impossible to navigate the interface. Or how the streaming quality fails to come close to modern standards. So for the growing uncabled population (full disclosure: I’m in this camp), the tech illiterate, or the fan who prefers to watch sports without skips and starts and hiccups, the only choice was to cover your eyes and ears and wait for primetime. In the age of Twitter, this didn’t go over well. The hashtag #nbcfail began trending the night of the opening ceremonies (presented via tape delay in the U.S.), when the first lines of NBC’s fine print came into focus. See, the ceremonies aren’t technically part of the “Games,” so they weren’t part of the online content. And then there were all of these other complaints (in Technicolor Storify!). It is impossible to enjoy the Olympics with the rest of the world when you are half a day behind. As interconnected as we have become, it is simply not acceptable anymore. In sports more than anything, we need the drama of our hearts pounding along with the people in the stadium, with the competitors themselves. We want to feel a part of a moment in time when our fellow man accomplished something extraordinary. It didn’t mean anything. I had been exposed to the outcome a hundred times already. It almost wasn’t real. America is missing out on its moments. [W]ith spoilers everywhere, viewing is up. I can easily imagine people watching the Phelps defeat live tweeting their heads off telling friends to watch it in prime time. I can imagine people thanking NBC for curating the best of the day at night and giving folks a chance to watch the highlights. Would there be any harm, then, any audience lost, if Americans had the option of also watching the events live? Would ad revenue be lost by giving those capable of watching live, the commercial-filled opportunity to do so? Would two viewing blocks harm NBC’s investment, or enhance it? What every1 is missing: It’s not beneficial for NBC to air big events live because once they conclude, non-rights highlights shows can use. Still, one has to imagine the “delayed highlights” Olympic business model can’t last for much longer. The gimmicky dubbed-over commentary by people who already know the outcome has outlived its effectiveness. “She stepped up to the beam needing the routine of her life… and she would get it,” is just as drama-killing as the 35 Tweets, 11 Facebook posts, Google News headline (linking to 483 similar stories), and still-frame TV highlight I stumbled upon going about my normal day. But in case I am still oblivious, NBC hits me with a promo spot during the commercial break starring the gold medal winner of the replayed event I’m still watching. No wonder the Internet pirates are doing what they always do when the old guard is trying to put up walls… burrow underneath them. Users are embarking on all kinds of quasi-legal ventures to access the Olympic coverage the rest of the world is receiving – by making it appear as if their computers are outside of the United States, and beyond NBC’s content stranglehold. The landscape has changed. 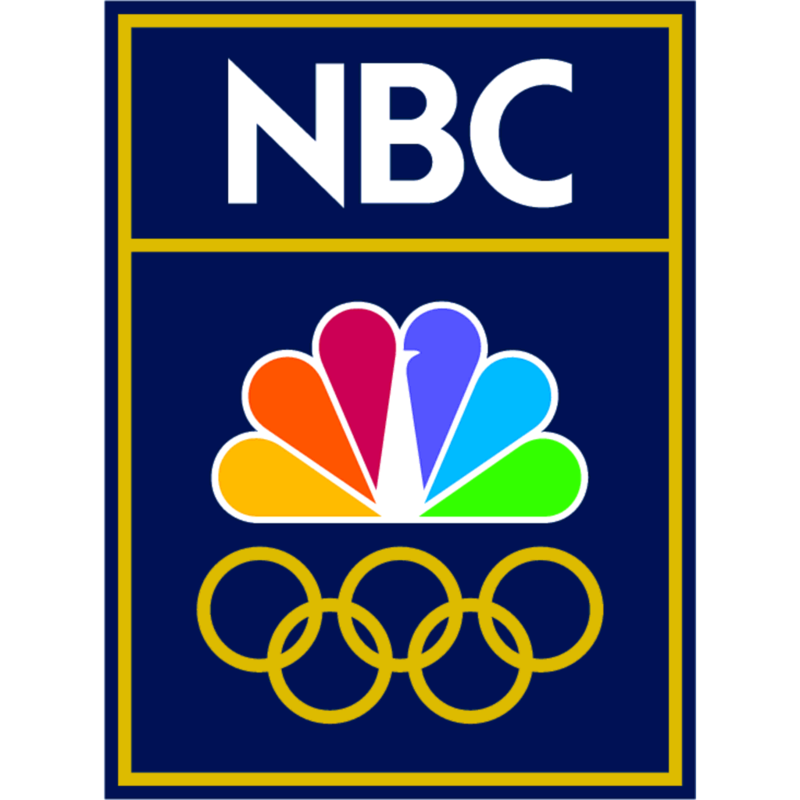 In an interconnected global community of instant-gratification that moves at the speed of the Internet, NBC’s Olympic coverage keeps a nation in the dark. Which is why I don’t think the ratings run lasts through the extinguishing of the torch, an event Americans will also see long after the rest of the world. Because when there is over a billion dollars in ad revenue to recoup, commercials trump content, ad rates trump audience preference, and we’re left with one Olympic-sized #NBCfail.